On July 12, 2013, Will “Good Baby” Gruber evoked the jazz poetry of the Beat Generation at a public hearing on emergency rules at the Capitol. WCMC transcribed Will’s testimony because it’s just that awesome. Enjoy. 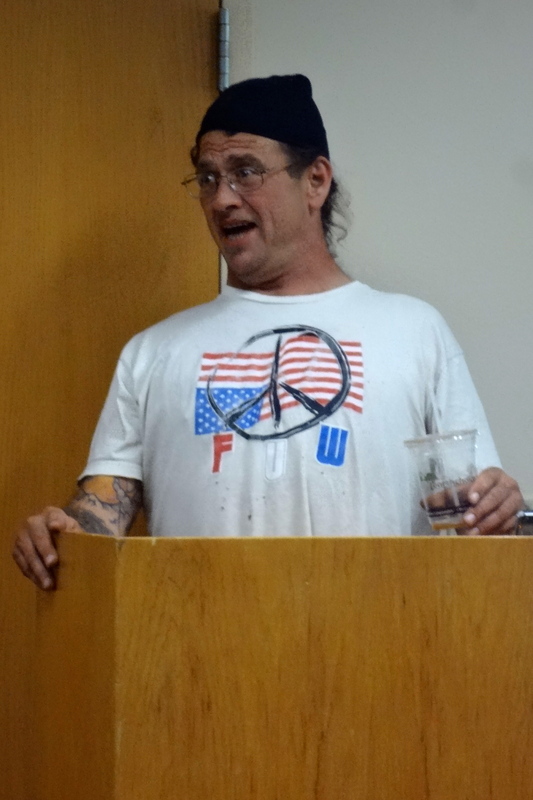 Will “GoodBaby” Gruber at the public hearing on July 12, 2013.